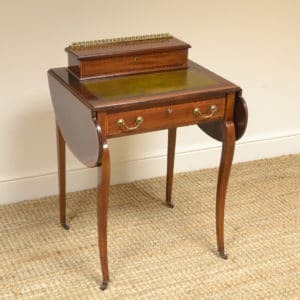 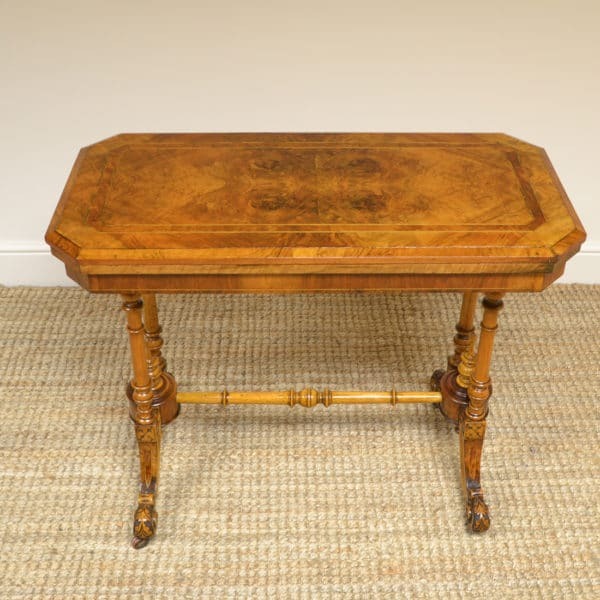 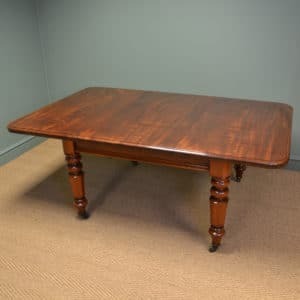 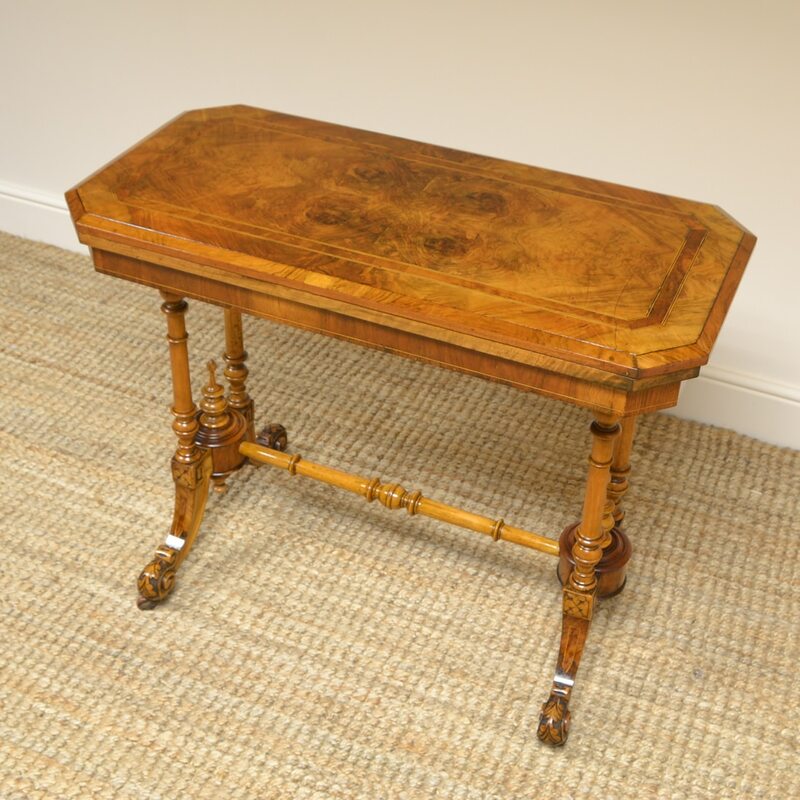 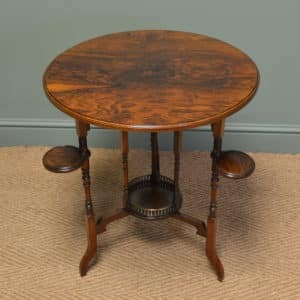 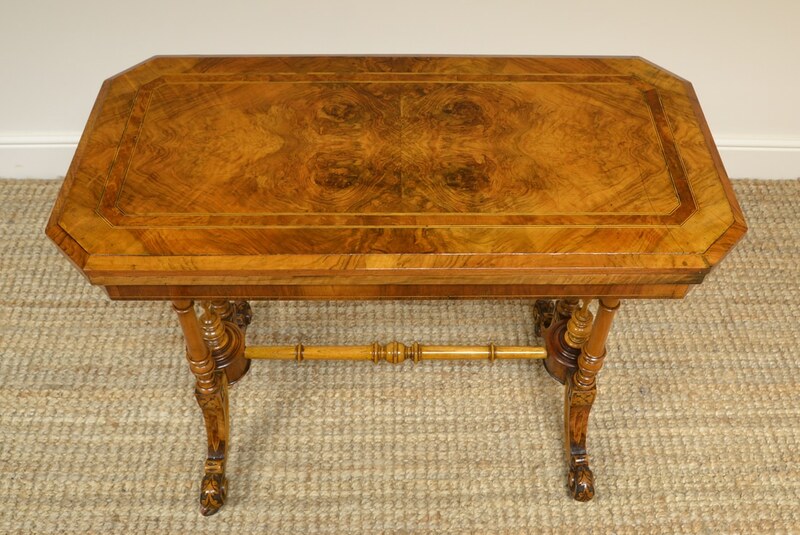 This Quality Walnut Victorian Antique Card Table / Games Table dates from ca. 1870 and comes with a beautifully figured top with bird-eye-maple cross banding, the top swivels open to double its size, revealing a concealed games compartment in the process and the playing surface is finished in green baize. 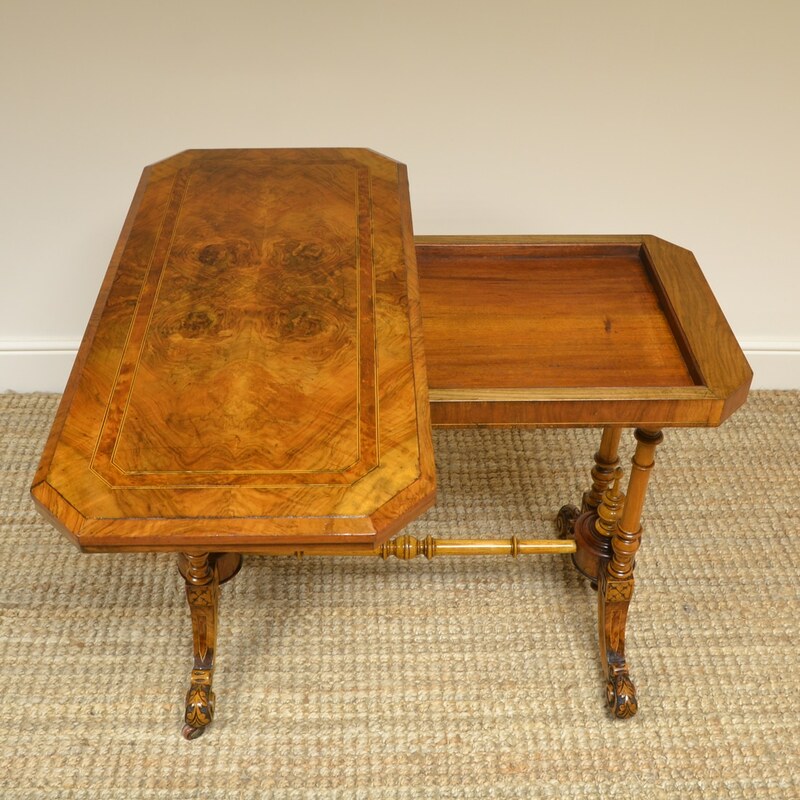 This Quality Walnut Victorian Antique Card Table / Games Table dates from ca. 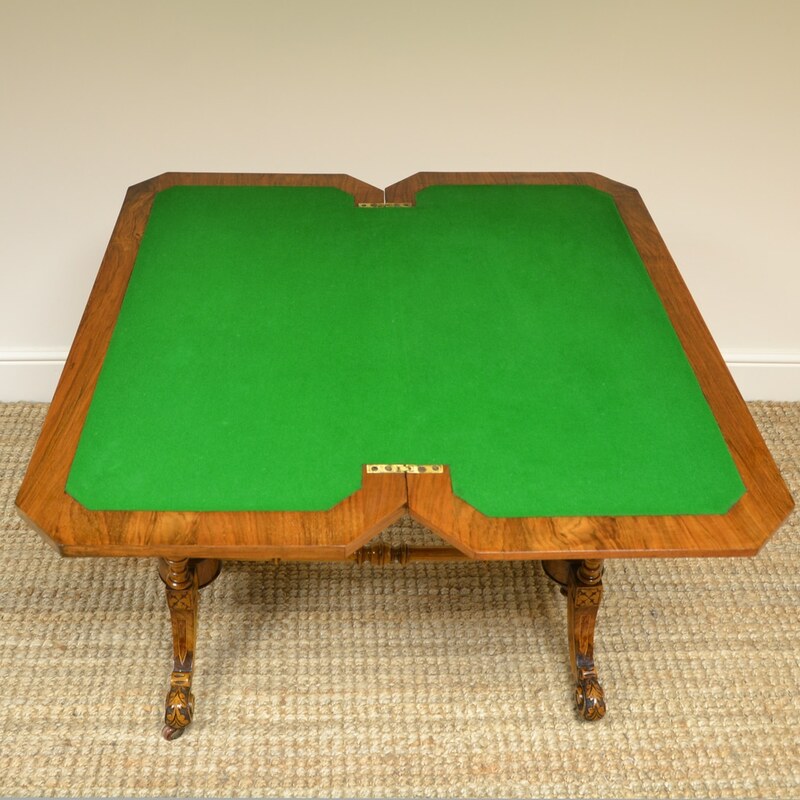 1870 and comes with a beautifully figured top with bird-eye-maple cross banding, the top swivels open to double its size, revealing a concealed games compartment in the process and the playing surface is finished in green baize. 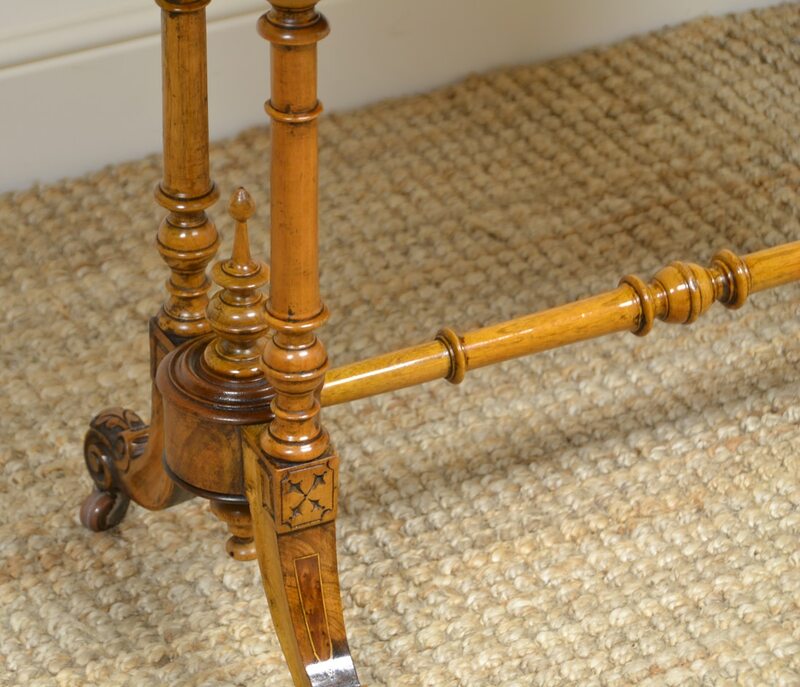 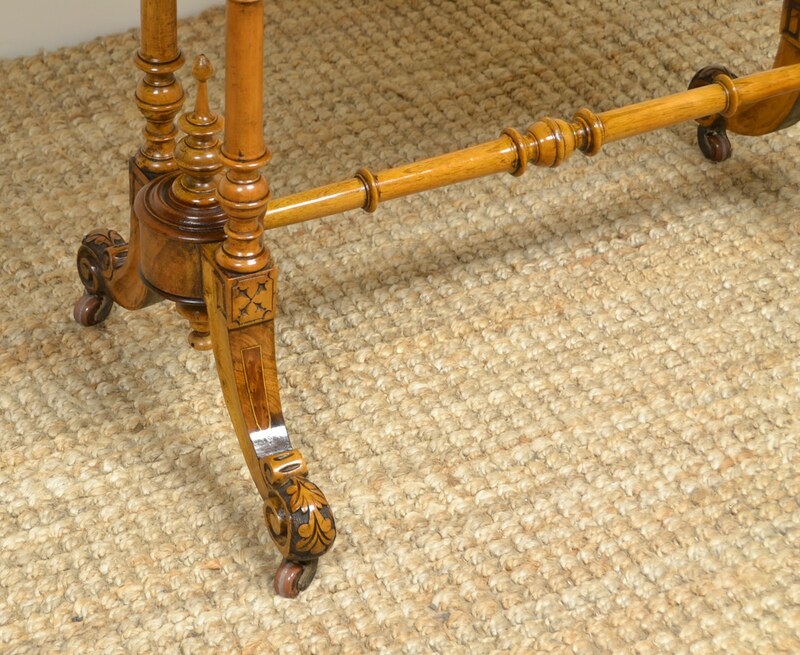 It stands on beautifully turned upright supports, with a turned cross stretcher and beautifully inlaid splayed legs with castors. 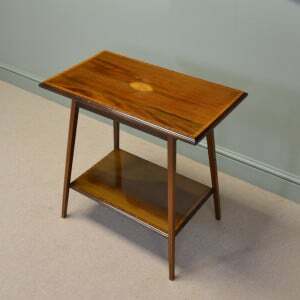 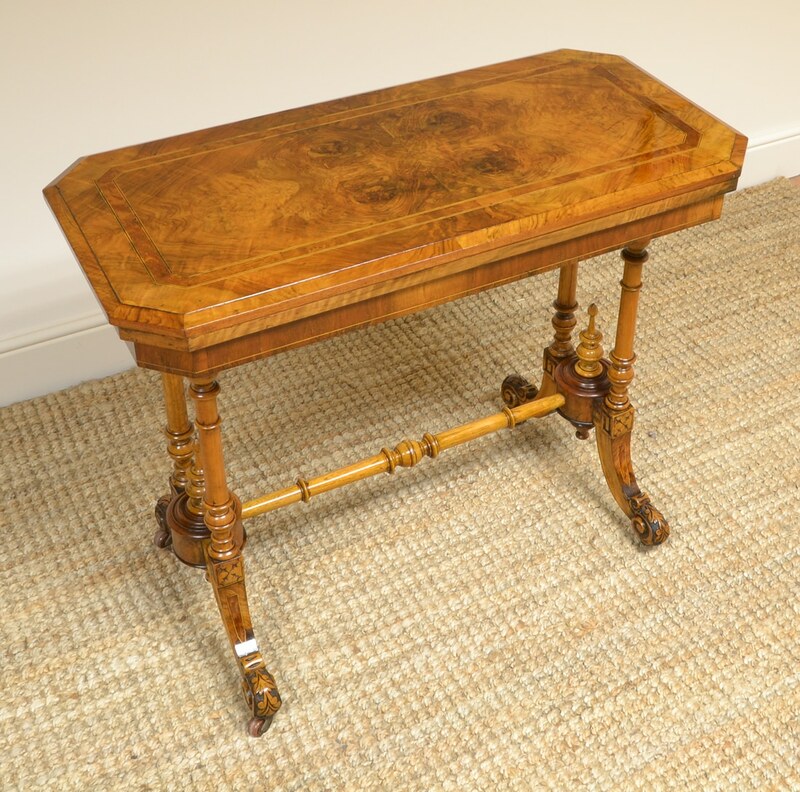 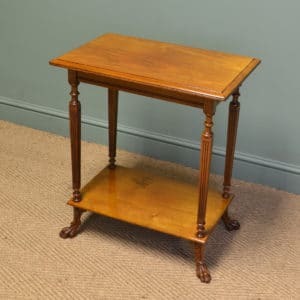 It is a rich golden Walnut shade with a striking grain, good patina, is in very good condition and has been beautifully cleaned using a traditional form of wax finishing.